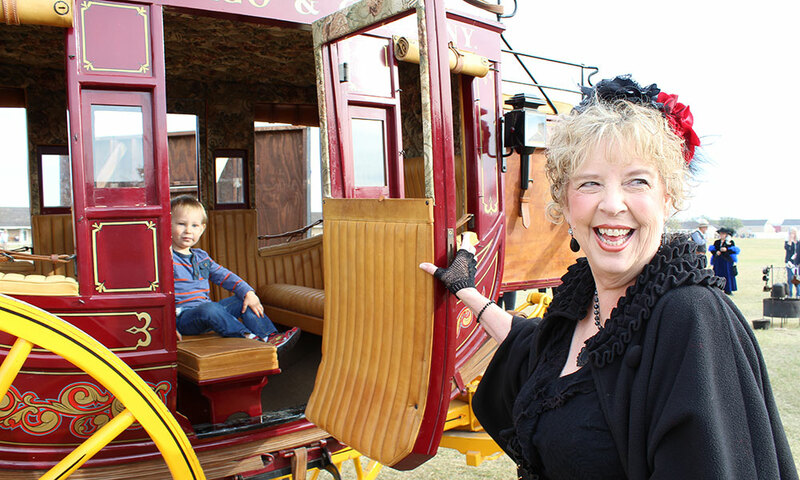 A kiddo takes a stagecoach ride at Christmas at Old Fort Concho. Created in 1982, Christmas at Old Fort Concho covers the 40 acres/24 buildings of one of the best-preserved frontier forts west of the Mississippi. Truly the event has “something for everyone,” and most folks find enough to keep them on the grounds for one day, sometimes longer. For the shoppers there are 75 merchants in various historic buildings and on the Parade Ground offering items not usually seen in any big box store or mall. Clothing, jewelry, children’s toys, baked goods, replica Victorian items, pottery, and home furnishings fill the officers’ quarters, barracks, and supply buildings. 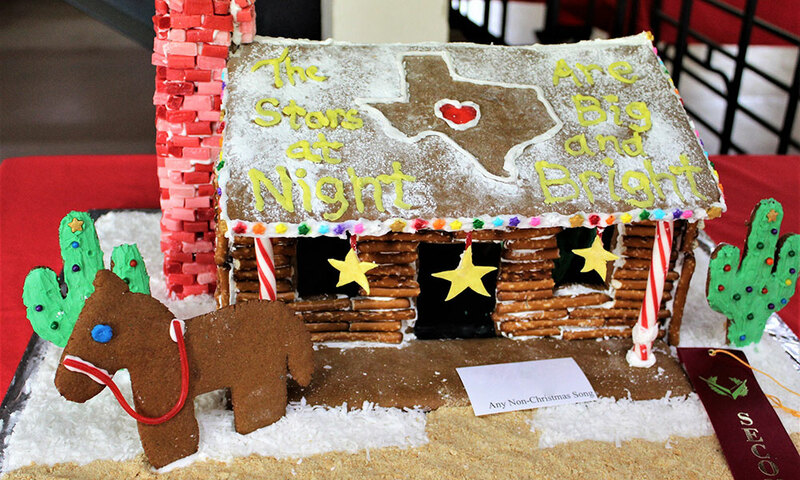 “Stars at Night” gingerbread house from Christmas at Old Fort Concho. Take advantage of the ongoing music at several locations including the Post Chapel and ArcLight Saloon at Barracks 1. Outside, several period bands will fill the air with the sounds of the 1800s on the Post Bandstand. You won’t have to check your watch as the artillery line will fire salutes on the hour throughout daylight times. Soldiers, outlaws, cowboys, and scouts will keep things lively with drills and performances throughout the weekend. 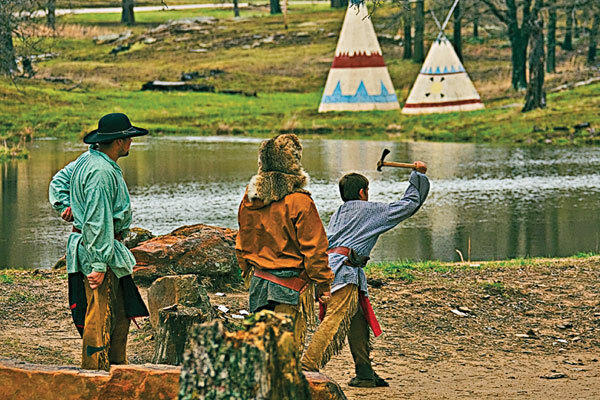 Native American dancers, an entertaining chuckwagon cook, and a medicine show also perform. 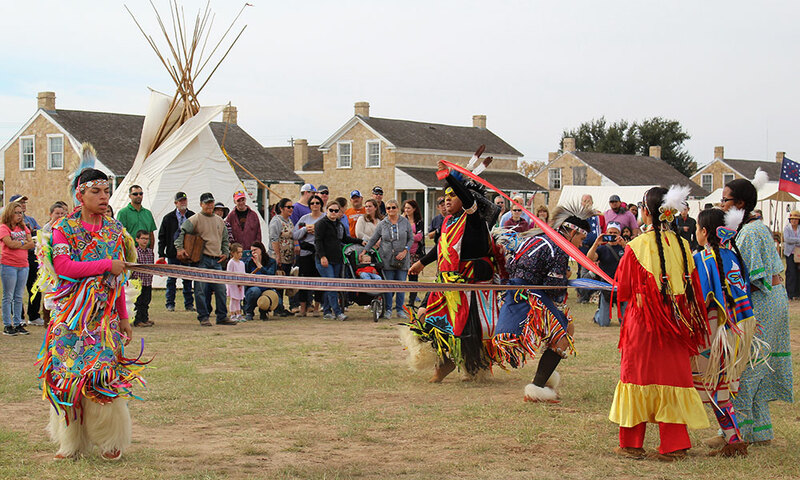 American Indian dance performance at Christmas at Old Fort Concho. Don’t go away hungry! Five food trucks plus period root beer, kettle corn, and cowboy style cobbler will feed you. Even better, try the Saturday morning Lions Pancake Breakfast with Santa or the Sunday morning Cowboy Breakfast. Catch the Children’s Art Show, the Gingerbread House and Cookies Contests displays, 1800s baseball, children’s crafts workshops, and the petting zoo. Be sure to stay more than a day so you can see the Concho Christmas Lights along the river, the impressive art museum, Santa’s Railway Christmas at the Depot, and the many fine stores and restaurants. 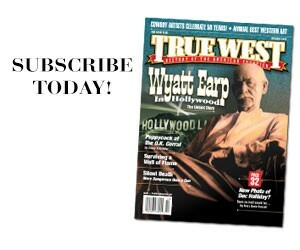 Check it out at fortconcho.com. 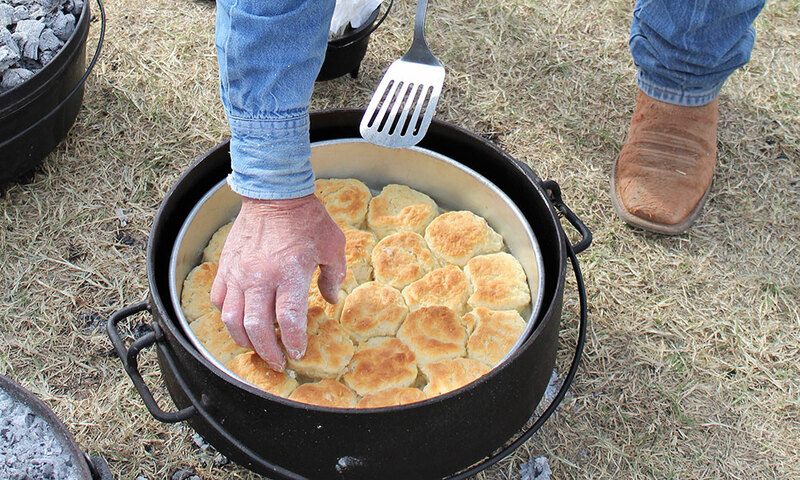 Cowboy biscuits at Old Fort Concho. 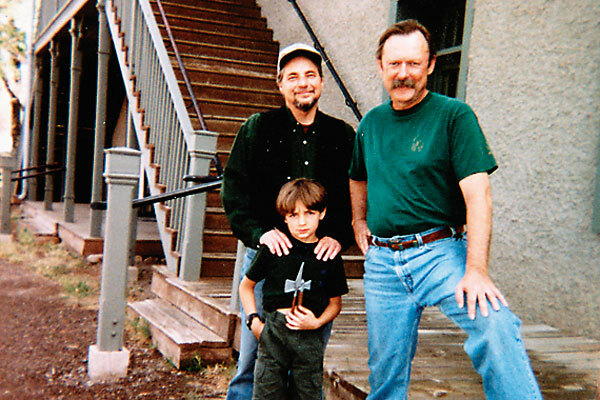 How I Ruined My Kids for History Too bad I didn't know about the curious monkey trick. 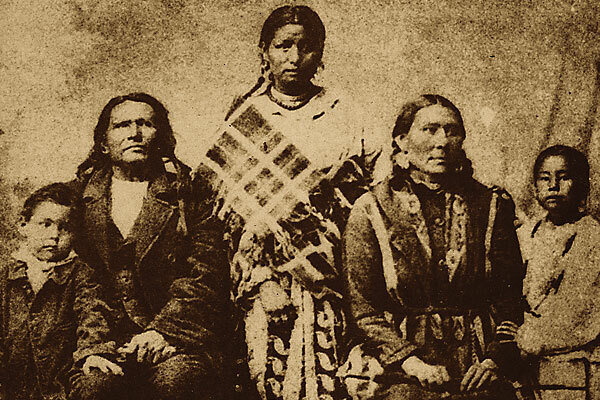 Trailing the First Indian Person From Omaha, Nebraska, to Ponca City, Oklahoma.